The weekend lines at this Northside stronghold attest to its enduring popularity—and anyway, they move pretty fast. Nachos and elotes are pretty standard stuff here; skip those in favor of hot dogs topped with pico de gallo, mayonnaise and crumbly queso fresco. 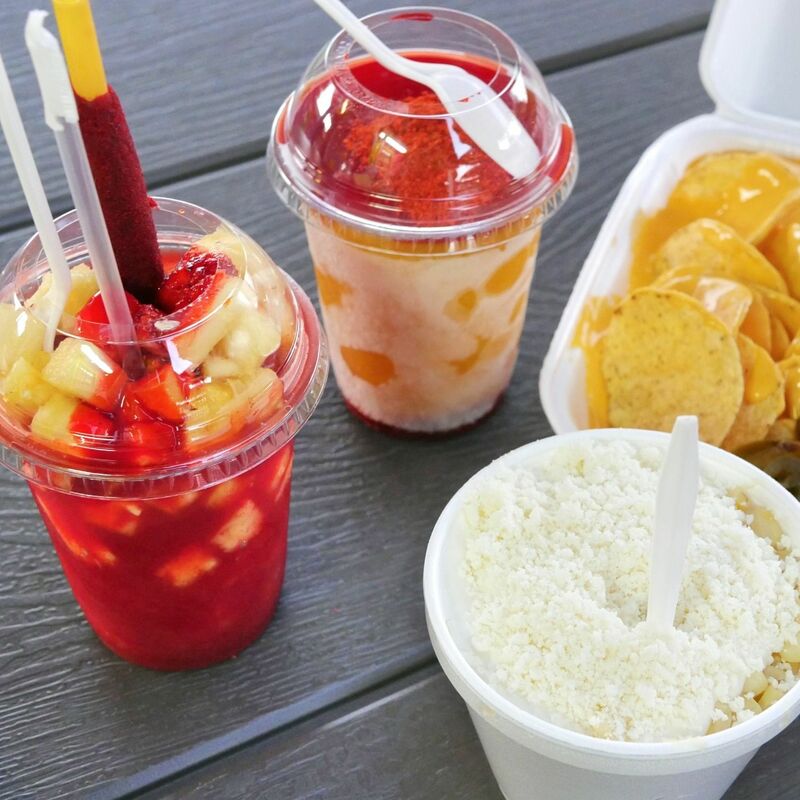 Health nuts will appreciate the sliced-fruit cocktails and fresh carrot and orange juices, while kids will go bonkers for Frozen- and Power Rangers-themed raspas.